But, as a public service, I will let you know that Kinokuniya has the most amazing craft book section of any bookstore I’ve been to, and that is saying something. The books on knitting, crochet, felt, amigurumi, and especially sewing abound! The other day I picked up these two gems. 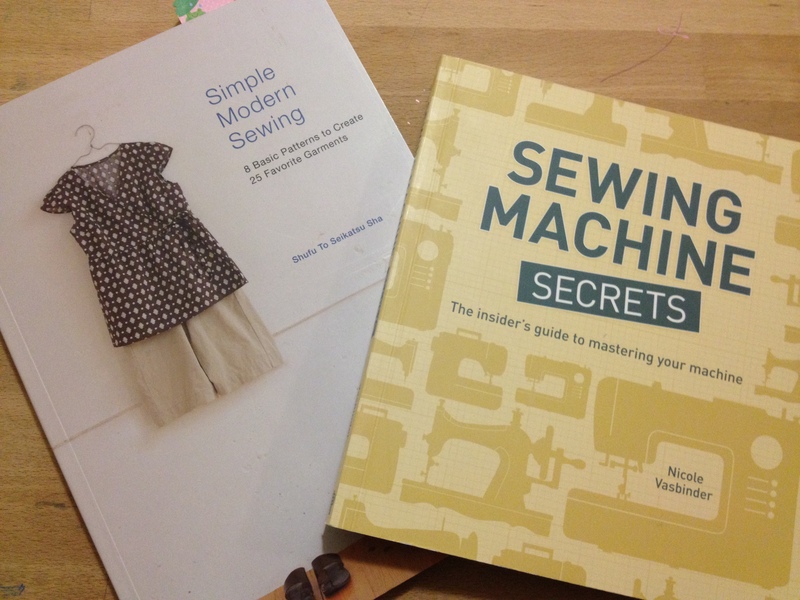 I’m relatively new to machine sewing, and I’m brand-new to my sewing machine (Christmas 2013 gift! ), so the book on mastering your machine is very useful to me. And! I was pleasantly surprised to find out that 1) it’s written by a Bay Area local, Nicole Vasbinder, and 2) published by Interweave Press, whose magazines I really love. Simple Modern Sewing has a ton of cute, simple (ohh, I do hope they’re simple!) garments which I could actually picture myself wearing. Sadly, many of the translated Japanese clothing pattern books feature enormous garments that would look so silly on me, as petite as I am, so I was happy to find this one that seems to have clothes that are more fitted, or at least, can be easily changed to be so.